The Small Business Makeover Contest is Coming Back to River Heights! Nominations and Applications Now Being Accepted! 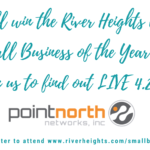 Inver Grove Heights/South St. Paul – Who will be the next lucky winner of the The River Heights Chamber of Commerce’s Small Business Makeover Contest this fall? One local small business will win up to a $20,000 Small Business Makeover ($20,000 of professional services and maybe even some hard cash!) to help them remodel and revitalize their small business! What business wouldn’t want that? Who Can Enter to Win? If your business meets the following criteria, you can apply! Nominations and applications are now being accepted! The Chamber is looking for businesses to apply for consideration for the 2016 Small Business Makeover Contest. We know there are a lot of deserving businesses out there, so don’t be shy! If you know someone or a business who could benefit, nominate them or encourage them to apply! Businesses should submit a complete online application here and provide supplemental materials showing/talking about their need for a makeover and the impact the makeover could have on their business. A winner will be selected by a Selection Committee based on their application and voting results from a public online voting poll this fall. The River Heights Chamber of Commerce is currently seeking In-Kind Sponsors to be a part of the Small Business Makeover Contest by either donating their professional services to the makeover package or by making a donation to fund the grand prize for the lucky winner! More details on how you can support the makeover with sponsorships, in-kind products or services, cash donations, rules, videos and supporting businesses of the makeover package is available at www.riverheights.com/makeover. Sponsors will receive recognition in Chamber communications including, but not limited to, Chamber Weekly Update email, press releases, social media, videos, blogs and website of the contest. In addition, In-Kind Sponsors will receive recognition for providing their product/service at the winning business. What a great opportunity to support small business growth, and be a part of a makeover project giving opportunity for new potential business and referrals. This initiative has the potential to draw state-wide attention from the media and is a great way to demonstrate your company’s support of small business and a community outreach initiative. Need an idea of an in-kind service? Services such as marketing/design, website development, digital marketing/seo, signage, printing, public relations, advertising products/services, office supplies/services, financial, accounting, painting, remodeling, landscape and photography are some ideas of how you can participate! 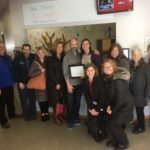 “We are excited to offer this unique opportunity again by holding a Small Business Makeover Contest to support the River Heights Chamber of Commerce’s vision to promote the business community and the growth of a local small business in our area,” says Jennifer Gale, President of the River Heights Chamber of Commerce. “This is an excellent opportunity for a small business in the River Heights area to gain access to THOUSANDS of dollars’ worth of services and products for FREE and for supporting businesses (sponsors) to be promoted in the business community! This initiative is a great way to demonstrate your company’s support of small business and a community outreach initiative,” Gale added. 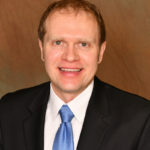 The River Heights Chamber of Commerce is a business organization who aggressively promotes the interests of the business communities of Inver Grove Heights and South St. Paul. The organization is volunteer driven and strives to attract and retain businesses to keep the business community thriving. The River Heights Chamber continues to provide value-added opportunities for all members. Visit our website www.riverheights.com to learn more!